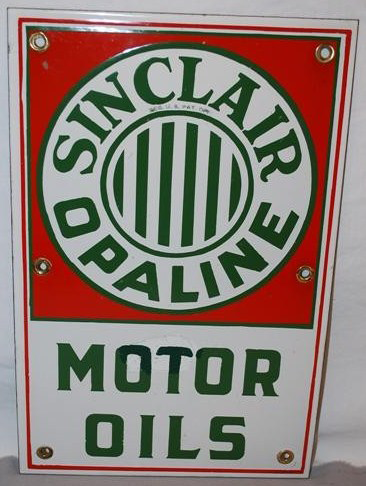 This is a rectangular Sinclair Opaline Motor Oils porcelain sign. This particular Sinclair Opaline Motor Oils sign is predominantly red and white with green text. It reads, “Sinclair Opaline Motor Oils” and features green and white stripes in a green circle in the center.